Skirting round Bridlington we threaded our way through country lanes to the 8 mile, chalkland promenantry of Flamborough Head. 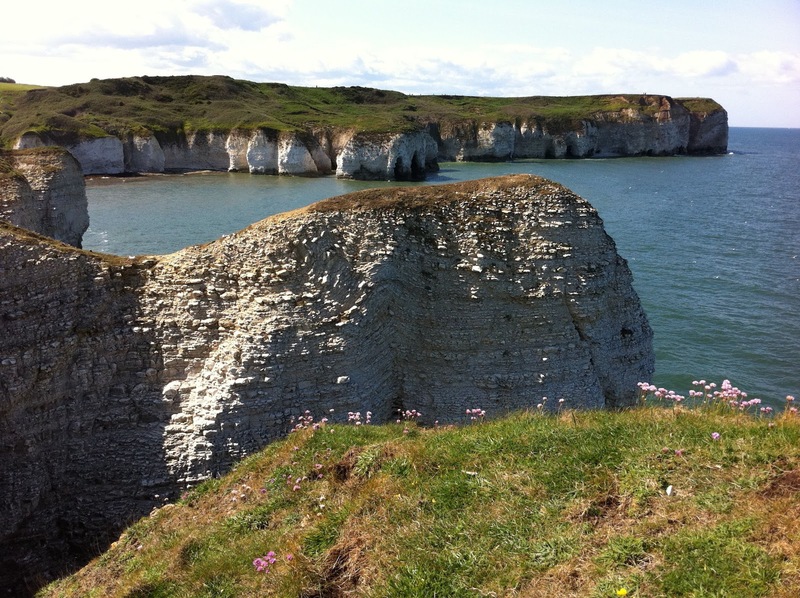 Defended by a dyke in prehistoric times and the site of a Franco-American invasion attempt in the American Revolutionary Wars, the head sticks out into the North Sea and is riddled with chalk caves. 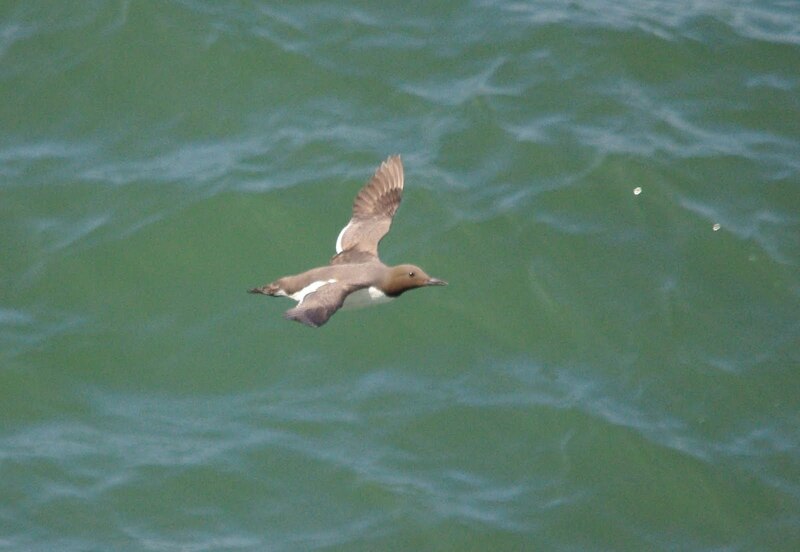 The area is now an internationally renowned location for the breeding of Northern Gannets and Atlantic Puffins and hosts many surprise visitors in spring and autumn migrations. 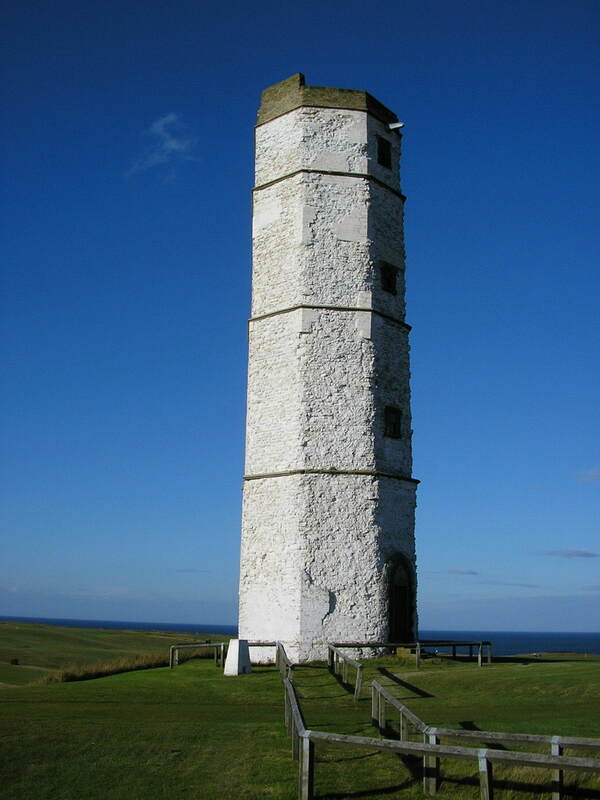 It has two lighthouses – the original chalk-brick tower that rose from the ground in 1674 and is the oldest surviving complete lighthouse in England. 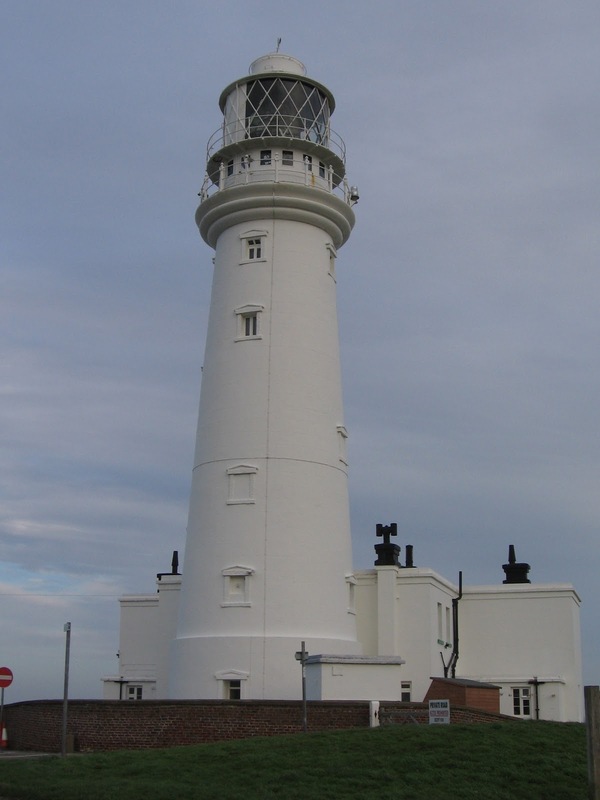 It’s more modern counterpart sits above the cliffs and is operated by Trinity House who run seasonal tours – its call sign is four flashes every 15 seconds. 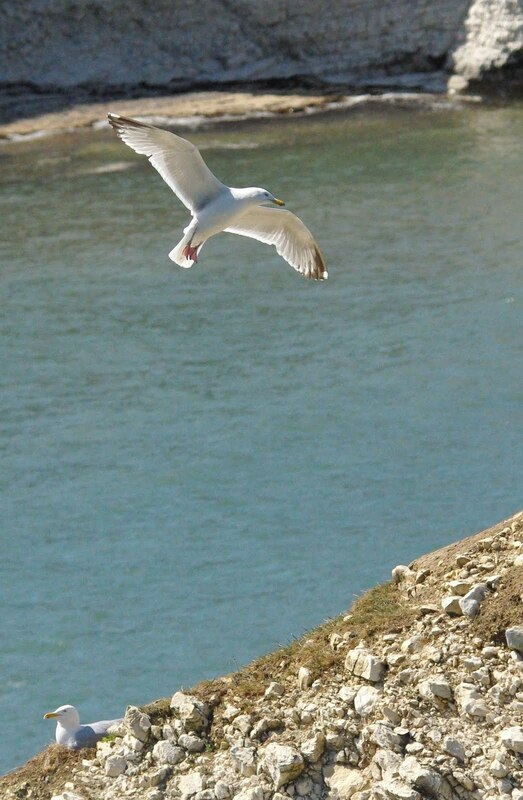 Sitting on the grassy banks below we watched a succession of birds fly past the cliff and out to sea, their journeys purposeful and direct. Others floated in groups on the deep blue-green sea, the swell lifting and descending, driven by wind and tide. 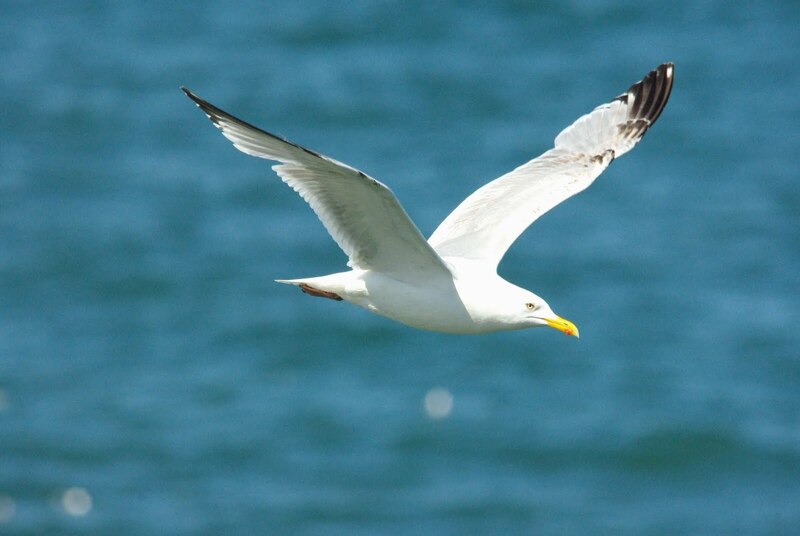 Herring gulls nurtured eggs and young in untidy nests on crevases close by to us as the waves of guillemots and razorbills and passing squadrons of gannets filled the sky. Fresh air filled our lungs as the sun warmed our backs and hearts. 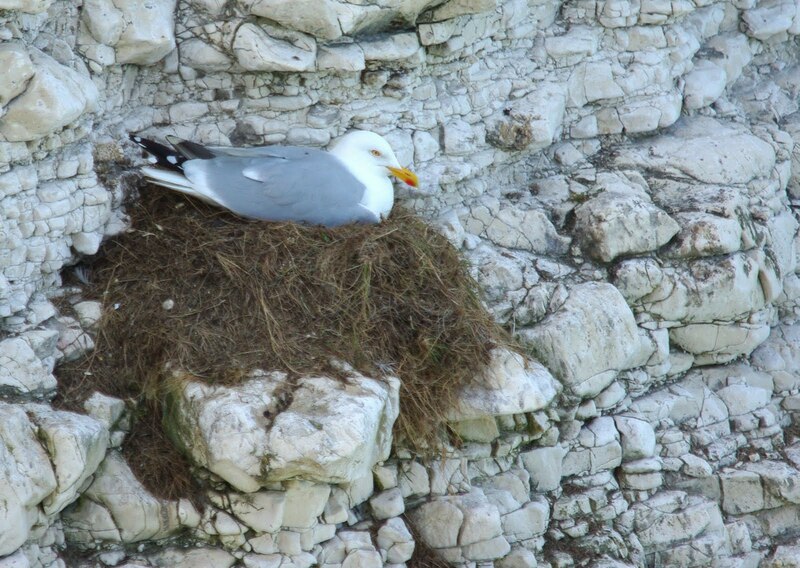 Bempton Cliffs tomorrow and the promise of further close up views of the birds and their vertigo inducing nest sites. 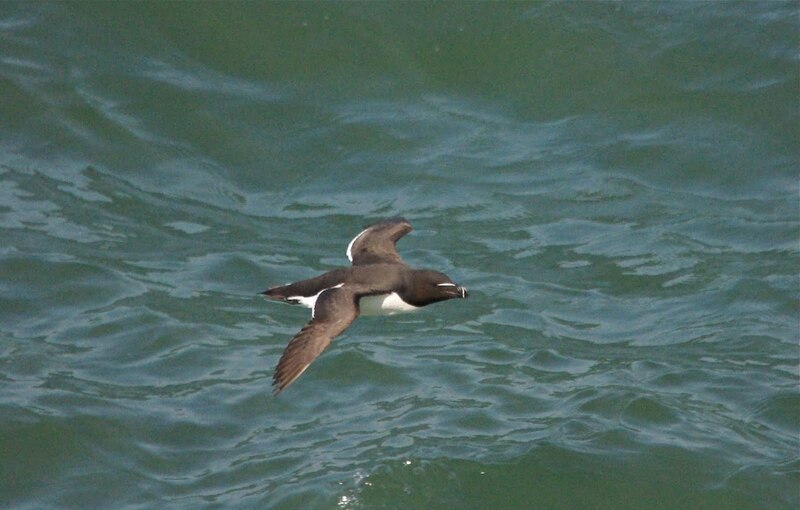 Flamborough Head, Gannet, Guillemot, Herring Gull, Razorbill. Bookmark.